Banks usually offer the lowest interest rates for personal loans. But you often have to wait weeks for a decision. If your credit is less than perfect, you must often provide collateral or a credit-worthy cosigner– or you’re simply turned down flat. Many desperate borrowers are lured by TV ads or Internet websites promising fast payday loans with no credit checks. Others put their property on the line with pawn shops. But LoanNow is a better alternative. In many cities and towns across the country, brick-and-mortar payday loan stores promise fast payday loans. Borrowers simply supply the necessary paperwork along with one or more post-dated checks made out to the payday lender, and upon approval, receive cash on the spot. 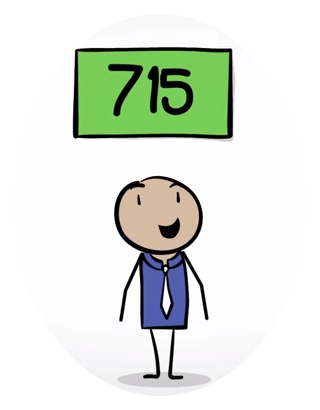 But brick and mortar payday loan stores frequently operate during limited hours. If you need a loan during the evening, over the weekend or during a holiday, you’re out of luck. Many online payday loan sites also claim to offer fast payday loans. Online payday sites also allow borrowers the convenience of submitting their applications in the privacy of their own homes 24/7. There is no driving across town and no risk of embarrassing encounters with friends or acquaintances. But many online payday sites are not operated by lenders, but by aggregators. They distribute borrowers’ information to third parties that might – or might not be – direct payday lenders. In light of recent online data breaches that have hit prominent commercial ventures ranging from JP Morgan Chase to Target, submitting personal information to anonymous payday loan aggregators might seem risky. 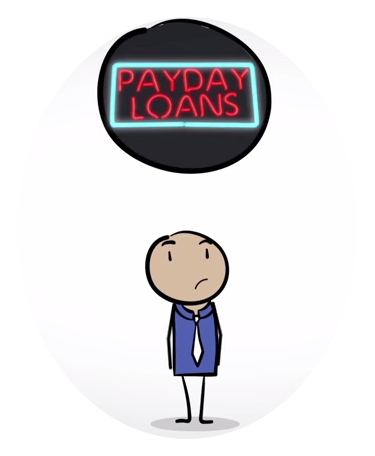 But even direct payday lenders carry risks to borrowers. They may actually offer fast payday loans, but the problems associated with payday loans often appear nearly as fast as their loan disbursements. High interest rates and short repayment periods mean that many borrowers are unable to repay their payday loans on their original repayment dates, triggering expensive rollovers that can quickly multiply the amount owed. And many online payday lenders operate out of state or outside the country, placing them out of reach for local or state jurisdictions, or even the federal government. You won’t find promotions for fast payday loans on the LoanNow website, because we don’t do payday loans. Almost everyone receives a response within 24 hours. † And qualified approved borrowers receive money on the spot, * thanks to our innovative Instant Funding ‡ technology. Plus we never require collateral – or your car title and we say no to expensive rollovers. Try the LoanNow difference for yourself today!